I list my business phone number publicly on my G+ profile so at times I get calls out of the blue from my followers, and I love those calls, I usually end up learning a lot. My brand new follower, Caesar Parisi, called to ask about the value of links to your site on Google+. “What value, if any do these links have,” he asked? In some ways Google+ links to your site have NO value, I said. Because the Domain Google.com does not pass link juice, or rightly called, PageRank. This has been true since the earliest days of Google and the PageRank algo. I say this because Andy Beard (the smartest man in SEO I know) called me last year to remind me so, after a Howie Schwartz webinar where I mentioned that you can create all kinds of incoming links on Google Buzz and your own Google profiles. BUT I did go on to say that the TrustRank and FriendRank Google patents both say that those algorithms identify “Influencers” within Circles or Groups as I detailed in 2008, linked above. When authority +1s, comments and sharing on Google+ become real exciting is when MEGA guys like Scoble, Mike Elgan or Louis Gray share, +1, comment, etc. Because it’s not how many citations as they are called in SEO, but who they come from. This entry was written by Chris Lang, posted on February 21, 2012 at 7:30 am, and filed under Google + Plus and tagged algo, algorithm, friendrank, google, plusrank, trustrank. I think it is much safer to discuss the effect of +1s on personalized results. As an example when I was looking at Whitney Houston search results, they were peppered with all the content posted by my friends on G+, the videos those people liked on Youtube etc. Lots of patents are nothing to do with organic search. With Google just like Facebook the more they know about you, the better they can target advertising. Every +1 is far more likely to affect advertising than organic search. 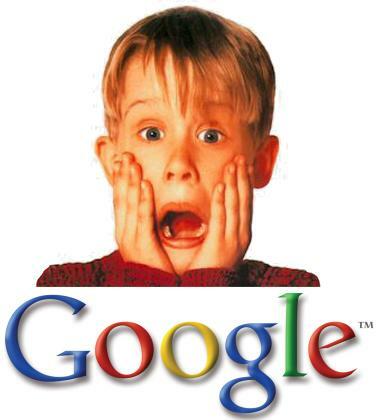 Are you referring to a +1 directly in google search or a post on Google +? or a little of both? It sounds like Google gives preference if you stay in the right “neighborhoods” which can be defined by those with trusted authority “voting” for you with +1’s and such. Sound right, Chris? So it seems to be the same old same old “its not what you know, but WHO you know”. So I assume from your post that there is still hope for the little guy as long as he knows the right people in his niche?